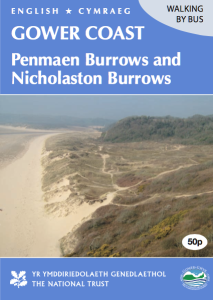 A series of 9 pocket walk guides with engaging points of interest about the heritage and management of each place as well as an illustrated birds-eye view map, safety information and other publications. 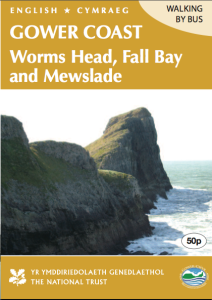 Inside pages of the Worms Head walk leaflet. 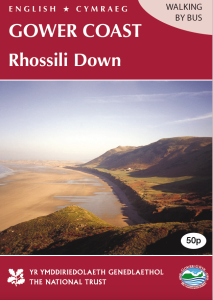 The reverse is the Welsh version. 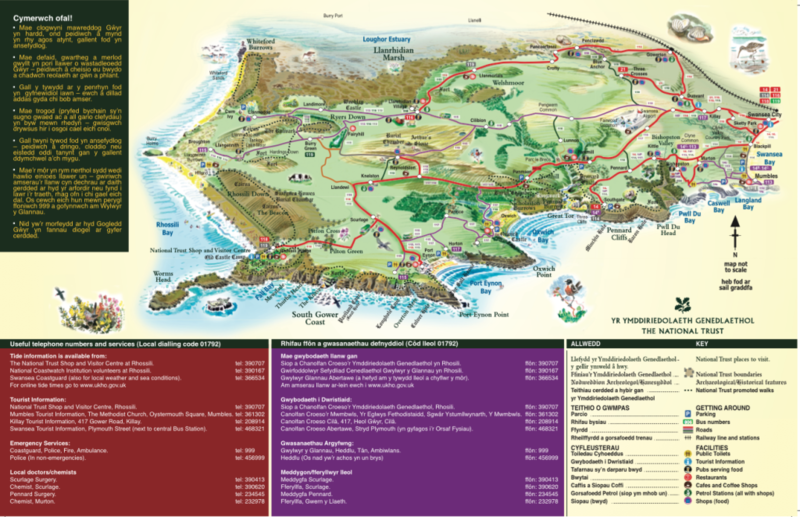 Full size is an elongated A3. 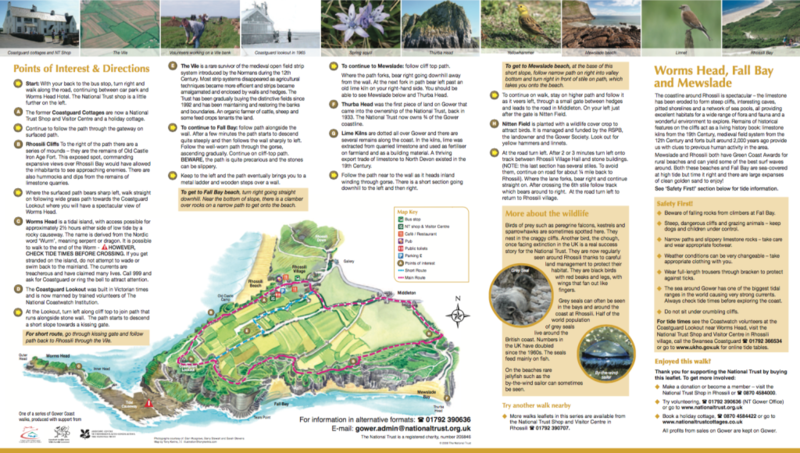 A 11 x 7cm fold out guide to Gower with an illustrated coded map (see image below) full of useful information about places of interest, travel and facilities. 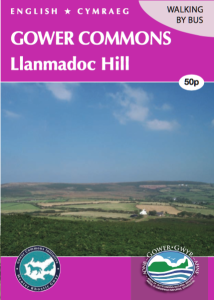 Used by locals and visitors. 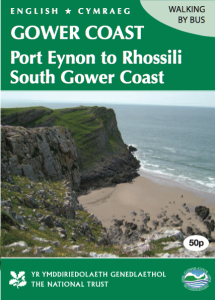 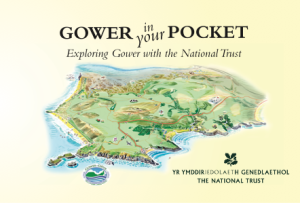 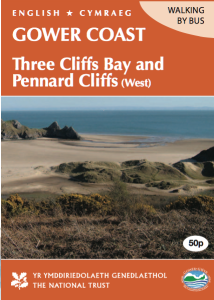 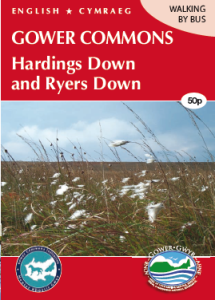 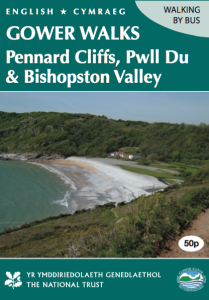 Inside the Gower in your Pocket guide. 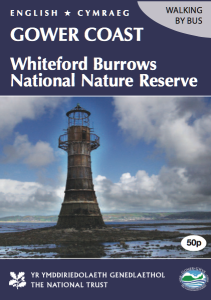 Playing card set with multi-use. 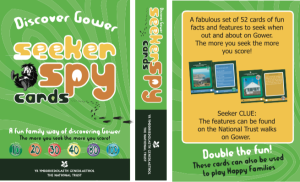 Coded groups of cards can be used for eye spy when out on one of the 9 walks or to play Happy Families inside.